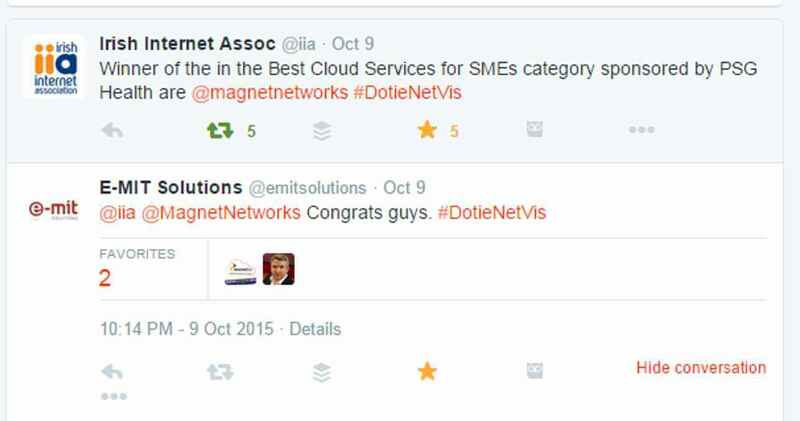 We are thrilled to be the official winners of the IIA Dot ie Net Visionary Award for offering the Best Cloud Services for SMEs for 2015. It is a great achievement and one which Magnet worked hard to achieve by both developing product specifically for SMEs; Office in a Box and for pioneering valuable research for SMEs with our Regional Business Barometer. 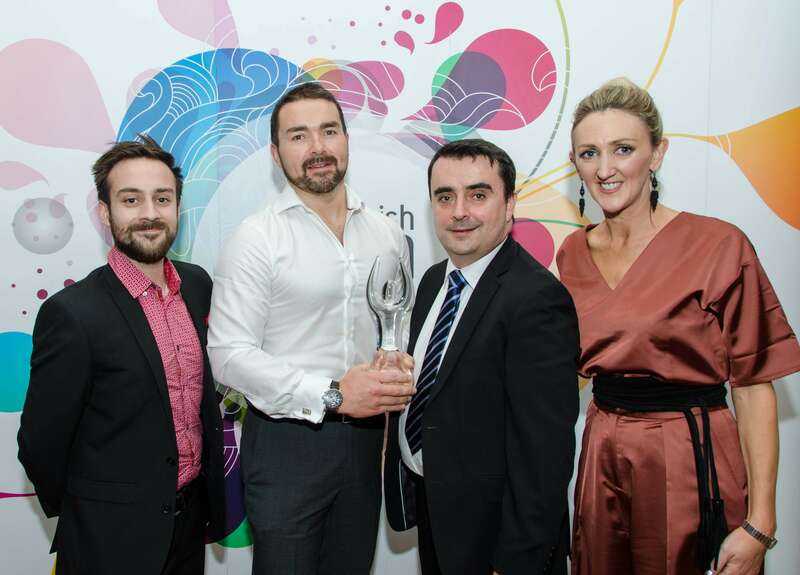 The award for Best Cloud Services for SMEs being presented, from left to right: Sean Earley: PSG Plus, Mark Kellett CEO of Magnet, Cyril Moloney PSG Plus and Joan Mulvihill Director of IIA. 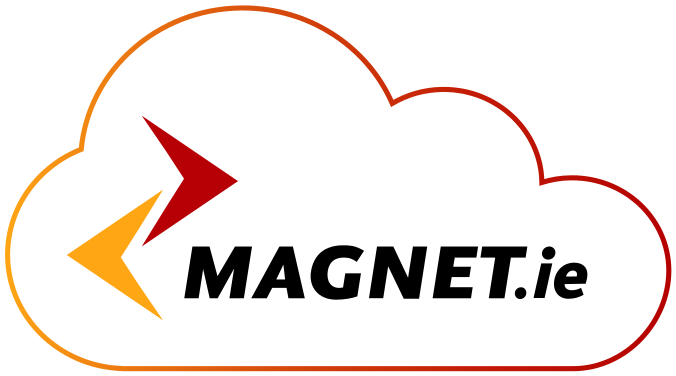 Magnet were up against stiff competition from E-MIT Solutions, MindaClient and Scurri WebServices Ltd who all offer valuable cloud services for SMEs. Our competitors were gracious in their defeat with many offering the congratulations on Twitter. We were also nominated for the award for Best Mobile App for the Magnet Voice app but unfortunately were unlucky to lose out to a customer of ours Q Stream. The Best Mobile App was an open public vote and Q Stream topped the polls. Also nominated for the mobile award was Webdoctor and Electric Ireland. The Dot ie Net Visionary Awards is now in it’s 17th year and is run by the Irish Internet Association (IIA). The IIA was established in 1997 and is still running strong. There were 17 awards in total including: Best Website – “Joyous to look at and splendid to use”, Best Innovation for Health, Best Start-Up – “The one to watch for 2016” and Best Social Media Campaign. The awards were categorized into technical, entrepreneurship, marketing and innovation. Click here for a full list of awards, nominees and winners.